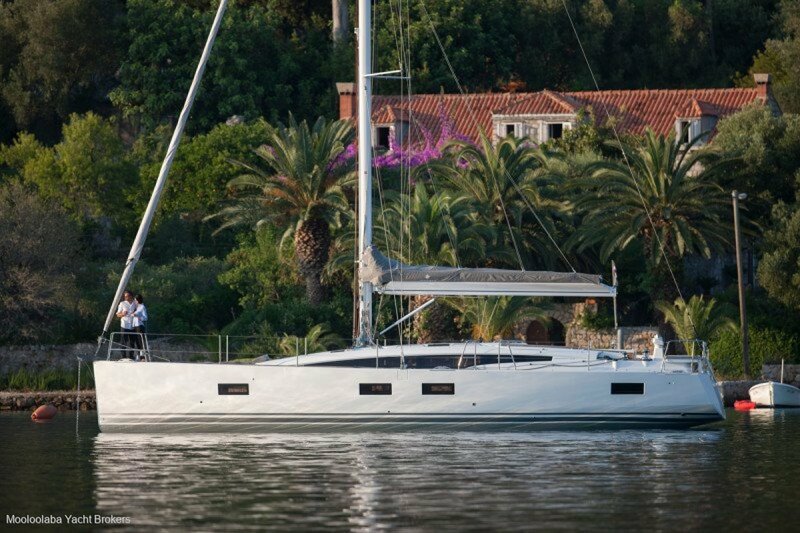 The Jeanneau 54 was designed for the way that you live and the idea was to create a vessel that is incredibly comfortable cruising, and uses the extensive superyacht experience of naval architect Philippe Briand to produce an innovative and original design. 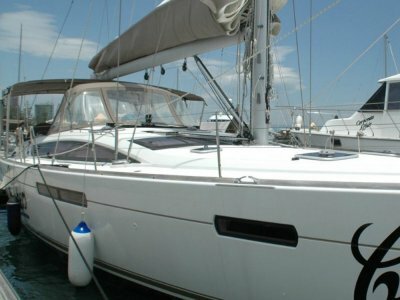 Side & aft seating is provided at each helm, one of which conveniently folds up out of the way when the Jeanneau 54 is at anchor. 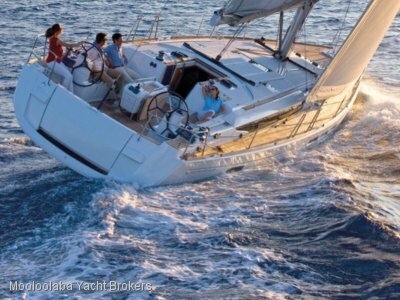 Primary and secondary winches are both just in front of the helm, giving you a centralized sail handling area. The forward sun deck is inset into the foredeck, offering fantastic lounging space. Wide side decks have an associated fibreglass profile for added security. High life-lines have been provided to offer that extra feeling of safety. 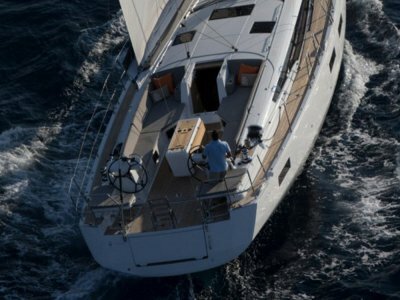 The standard teak finish, with a light floor, gives the Jeanneau 54 an elegant appeal. 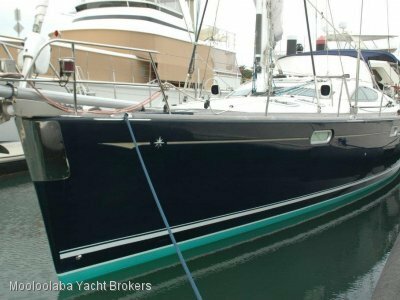 The innovative layout includes 2 cabins and 2 head compartments, with aft galley. The spacious saloon includes a table that is suitable for 6 to 8 people. The central bench within the main saloon has a fully incorporated large screen television set. The port aft cabin offers a VIP experience for guests. The size and quality of the furnishings within this guest cabin reflect those that might more usually be associated with the owner's cabin. As with the master cabin, there is an impressive amount of natural light.